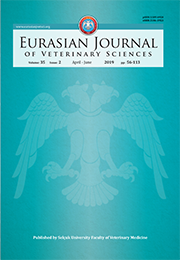 The manuscript submission criteria of the Eurasian Journal of Veterinary Sciences have been updated. Before the authors prepare the manuscript files, they should read the information carefully and prepare the files in accordance with the format in the sample and upload them to the system. Manuscript not prepared in accordance with the format will not be considered.